The Iguassu falls are definitely one of the most stunning views in the country. The majestic falls are the widest in the World, located in both Argentina and Brazilian territory, and this itinerary was designed to give travelers an overview of the best attractions in both sides, with activities that includes treks and an exhilarating boat ride! Combined with Ponta dos Ganchos Resort, the ultimate romantic escape, located thirty miles north of the surf capital of Florianopolis, this weekly itinerary offers an iconic nature wonder with one of the most acclaimed small beach resorts in South America. 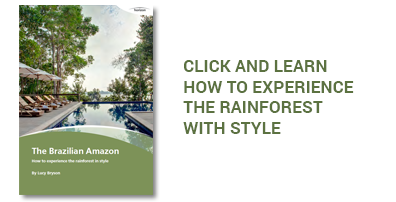 After check-in at the hotel das Cataratas, enter the rainforest, until you reach the small Macuco waterfall before arriving on the banks of the Iguaçu River, where the best part of the tour begins: a boat tour upriver! In safe open boats with outboard engines, you’ll cruise up through the Iguaçu Canyon. You do get wet during the tour, but don’t worry, we’ll give you rain cap. In the morning, go to the nearby helipad for a definitive overview of the falls: a 10 minute panoramic flight! After the experience, you’ll have seen the falls from several different perspectives. Afterwards, you’ll head to the Argentine side of the Park where most of the falls are located. You will walk over the river on walkways which allow visitors to have unique views into the falls. Depending on your walking pace, you will have time to do the lower and upper trails, and surely you will take the train to the Devil’s Throat platform. Visit the Bird Park just outside the National Park entrance. After the check out, board on your flight to Curitiba. Upon arrival, transfer (3h30min) to Ponta dos Ganchos Resort, in Florianópolis. Days at leisure to enjoy the resort and its activities like stand-up paddle, kayaking, trekking, oyster farm visit, snorkeling/scuba-diving, and others. After check-out, transfer (1h) to Florianópolis airport to board on your flight back home. This Belmond property’s biggest advantage is that it is the only hotel inside of Iguassu Falls National Park, giving guests access to the Falls outside of visiting hours. 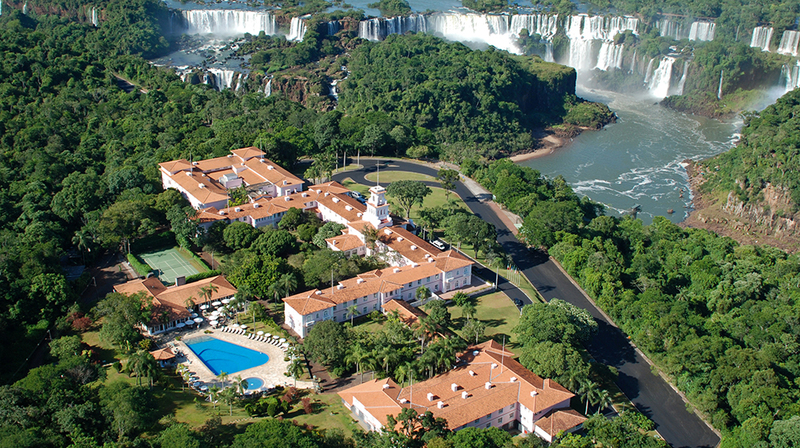 Combined with a constantly praised service and outstanding common areas, this makes Hotel das Cataratas the best option when at the Falls. 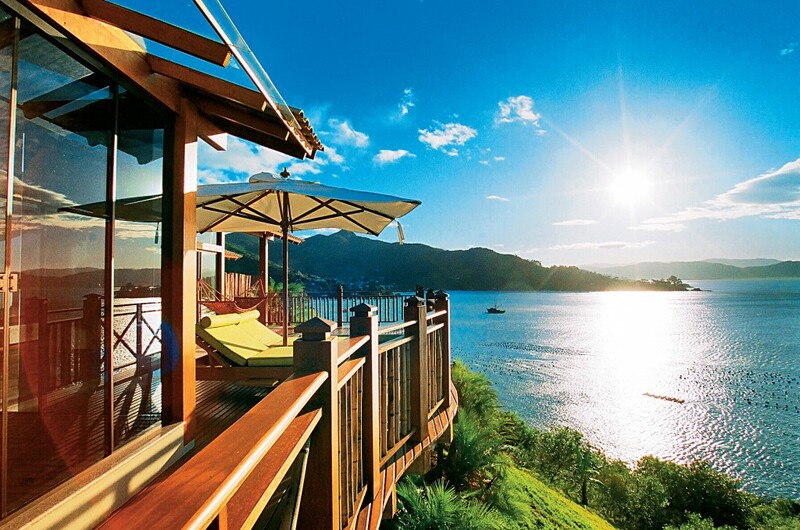 Located on a privately-owned peninsula between fishing villages, Ponta dos Ganchos is commonly known as Brazil’s most luxurious resort. This romantic hideaway makes dreams come true in perfect harmony with the breathtaking scenery and is the perfect place for those wishing to experience privacy, sophistication and great gastronomy. Thank you for your contact. Your message was received and one of our specialists will contact you soon.